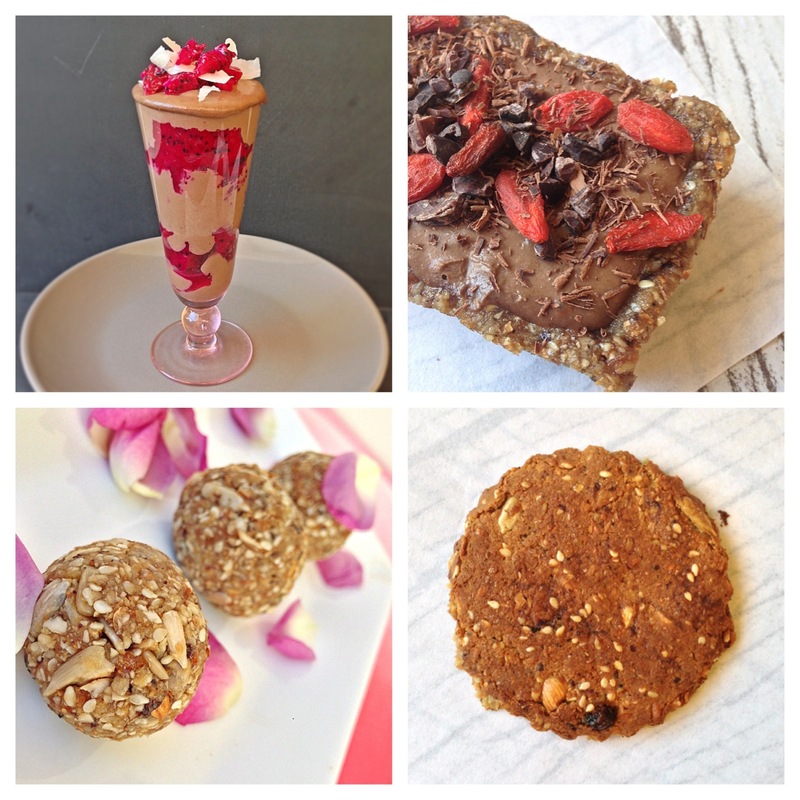 Stay tuned – this recipe can also double as the filling for a delicious Mousse Tart (top right) and the recipe for the tart base can also be used to make Sunflower and Almond Bites (bottom left) as well as Baked Sunflower and Almond Cookies (bottom right). This recipe I’m proud of. I want to make it for everyone I know, I want to hand it to people on the street and I want to feed The Chef litres of it because it makes him happy. 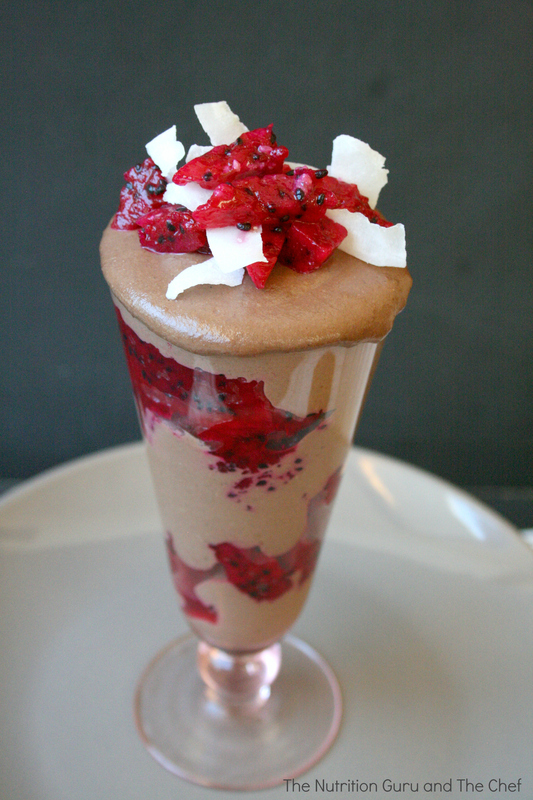 This mousse is vegan, egg free, dairy and gluten free. You would never know it though, it’s silky smooth and packed full of flavour. It’s ridiculously easy to make and I hope it gives you’re belly as many smiles as it did ours. Chill mixture in the fridge for 1 hour to set. If you can’t wait that long you can eat straight away. Pour into a container to set. To serve, scoop into a bowl. Pour mixture into glasses and set in the fridge. Layer the mousse in glasses with fresh fruit such as berries, mango or dragonfruit. Serve individual portion in cute maison jars with ribbon tied around the neck. 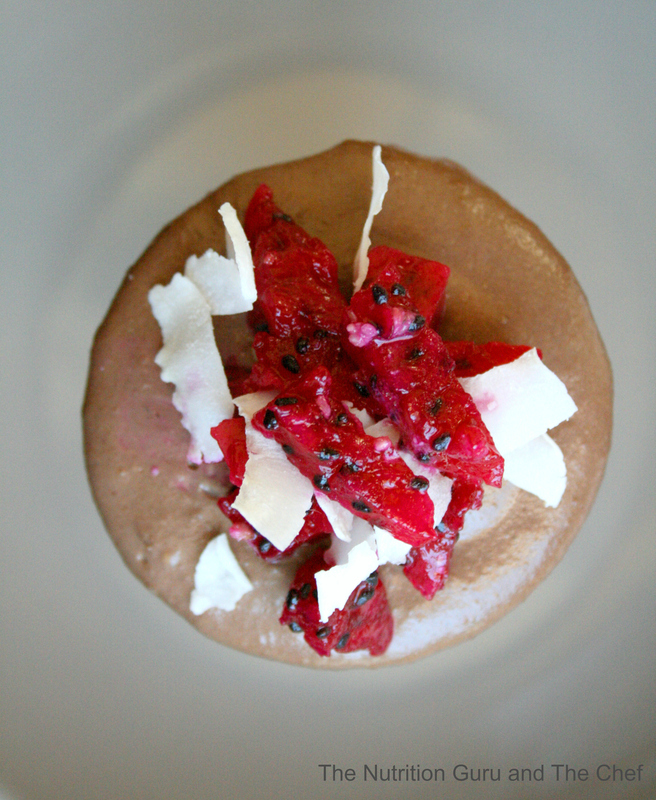 Use the mousse in our upcoming tart recipe. Sign up to our mailing list (over on the right of the screen) to be notified of when the recipe is available. It’s delicious! Normally mousse contains melted chocolate containing fat and loads of sugar. It also contains whipped cream. Although this mousse is not by any means calorie free, though it does contain MORE nutrition than normal every day chocolate mousse. Looks sinful! But clearly healthy. What is coconut sugar? Is it the same as palm sugar?